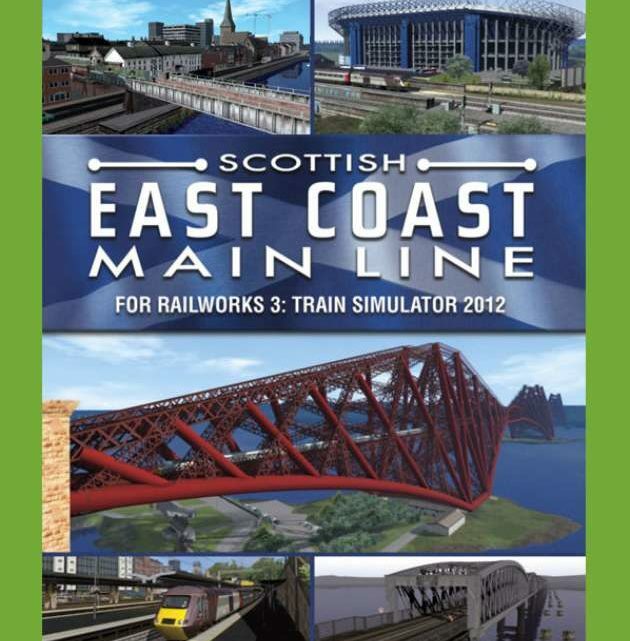 Based on the real-world route, this expansion for Train Simulator will take you across the East coast of Scotland on the UK’s most scenic rail journey. As the crow flies, this route is around 80 miles in length but once you have taken into account the twists and turns the whole route is around 120 miles. Travel from Waverley station in Edinburgh past the foot of the castle to Haymarket. Take in the iconic Scottish Rugby Union Murrayfield stadium up to what some would say is the eighth wonder of the world, the Forth Rail Bridge over the Firth of Forth between Dalmeny and North Queensferry. Then it’s down the steep incline into Inverkeithing past the Rosyth Royal Naval dockyards and onwards. Drive through RAF Leuchars and on to the Firth of Tay over the rail bridge, passing the stumps of the old bridge, and into the City of Dundee. The route also extends from Dundee through the villages of Invergowrie and Errol along the banks of the river Tay, over the single line Perth viaduct, then into the majestic town of Perth. Scottish East Coast Main Line is loosely based on the 2006-2007 period when the GNER operating company was just turning into National Express and Waverley station had just been rebuilt. Important! If you do not already have the European Loco & Asset Pack and the US Loco & Asset Pack installed (both available to purchase from Dovetail Games via Steam) then you will need them both to allow the route to display correctly. Please note that one or both of those packs may be included in other products purchased from Dovetail games via Steam. Hear typical town and station sounds including the bagpipes. 12 Standard and four Free Roam scenarios are included to allow you to make the most of the route. Take the Class 37 from Methil Docks to Edinburgh, hauling a very heavy load. Watch out for the traffic! Real timetable – drive the Scot DMU from Dundee to Perth. Departing at 15:03 you will be following the HST Northern Lights 15:00 service to Dundee (following the real timetable) then back to Waverley, platform 18. Just coming into Edinburgh, you need to drop off your passengers at Waverley. Watch out for busy traffic! Kengor has reported to the dispatcher that he has been taken sick. You have just been dropped off by Toni in the Class 37 rescue unit. It’s your job to finish Kengorâ€™s shift. Drive the section from Perth to Dundee in a DMU. Take the Class 37 to Dundee from Perth (classic scenario by Toni Harrison). Last HST of the day to London – drive the HST from Dundee to Edinburgh in real time. Drive the 07.47 Class 158 early commuter service from Perth to Dundee, calling at Invergowrie. Warning! There is no catering for your passengers! Get ready for take-off! It’s 12th September 2009 and a bit of overtime for you! Take the 11:05 Virgin Voyager 220 from Dundee to Edinburgh, arriving at approximately 12:30. Call at Leuchars, Cupar, Markinch, Kirkcaldy, Inverkeithing, Haymarket and Waverley. The longest journey operated by Virgin Trains is the 704 miles from Penzance to Dundee, which is also the longest direct train journey in Great Britain. *NOTE: Please note that the Voyager is not supplied in Train Simulator as standard and you will need to have the Just Trains Voyager or Voyager Advanced add-on (Download or Boxed) installed for this scenario to run.